After frequent rescheduling and downgrading, including a last-minute delay after market close last Friday, September 21, New England’s main natural gas pipeline, Algonquin Gas Transmission (AGT), may finally run their biggest maintenance event of the year in terms of impact and duration. From September 25 through October 12, Algonquin will conduct an outage between its Stony Point (NY) and Oxford (CT) compressors. The outage reduces operational capacity at the Stony Point compressor from 1,141 MMcf/d to 744 MMcf/d for the duration of the event. While AGT reported average flows of 1,110 MMcf/d through Stony Point over the last two weeks, implied flows including no-notice nominations show Stony Point averaging 1,274 MMcf/d, meaning this event will cut over ~0.5 Bcf/d of mainline flows relative to the previous two-week average. 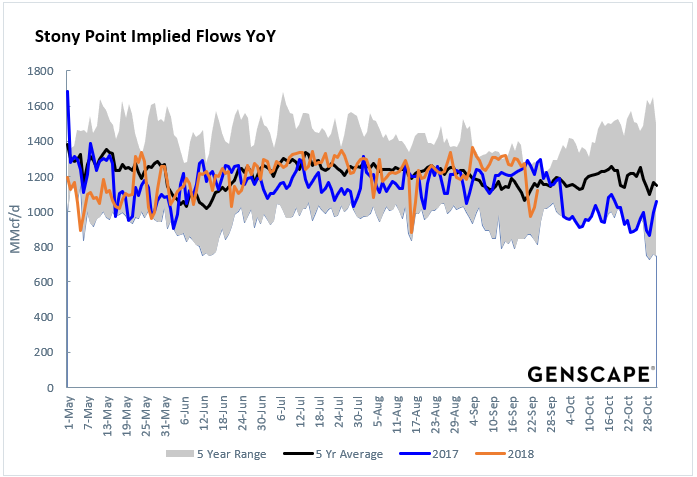 Assessing previous years’ flows through Stony is somewhat tricky because of recent years’ restrictions for the Algonquin Incremental Market (AIM) expansions, but Summer ’18 Stony Point flows are well above the five-year average, once adjusted for no-notice. The outage also limits the Oxford compressor to a capacity of 867 MMcf/d. Algonquin Gas Transmission mainline as illustrated in Genscape's Natural Gas RT platform. 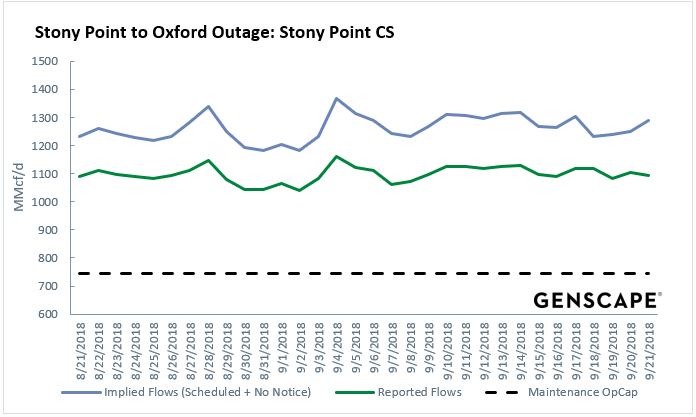 Stony Point Compressor Station to Oxford outage from August 21, 2018 through September 22, 2018. Stony Point flows are well above the five-year average this September. Stony Point is the main constraint point for the AGT mainline, meaning this event brings significant upside risk to AGT Citygate prices and downstream demand. 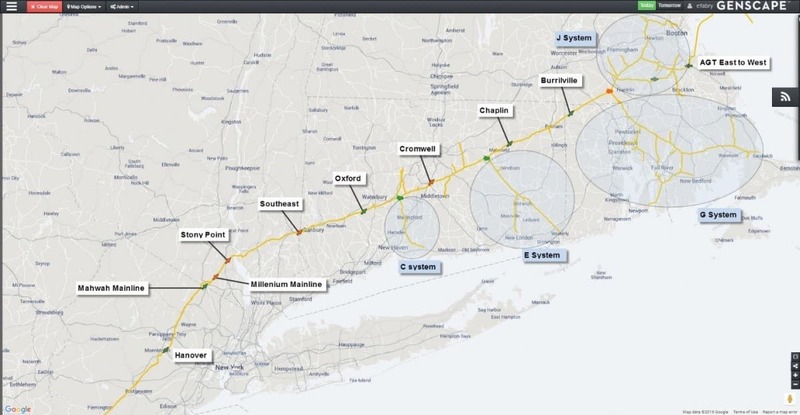 Mainline demand will rely on supply interconnects downstream of Stony Point; including Everett liquefied natural gas (LNG), the Salem Essex interconnect with Maritimes, and the Lincoln and Mendon interconnects with Tennessee Gas Pipeline (TGP). AGT also notified preemptively declaring an operational flow order (OFO) effective on Monday, heavily penalizing shippers for imbalances. Algonquin also plans to suspend its no-notice service beginning on September 25 and lasting for the duration of the maintenance. On the generation side, the Pilgrim nuclear plant experienced continuous operational issues since mid-August and has not sustained a full load since then. These outages also coincide with ISONE planned maintenance. During the week of October 6, ISONE will have up to 5,826 MW of planned outages, compared to 193 MW on outage for the week of September 8. There will also be 2,800 MW of allowances for unplanned outages, and this is likely to be used given the high summer demand preceding this shoulder season. This potential 8,626 MW of planned and unplanned outages are likely to include two nuclear plants – the 867 MW Millstone Unit 2 and the 1,251 MW Seabrook plant, as this lines up with their 18-month refueling cycle, which is all bullish for gas plants to pick up the slack. The Mystic Generation Station, New England’s largest power plant at 1,998 MW, will be crucial for the New England power stack as it is mostly fueled by LNG and not reliant on Algonquin for supply. New England is currently forecasted to cool over the next two weeks, bringing significant downside risk, but unexpected heat waves could cause power demand spikes. Cold snaps could create residential/commercial gas demand for heating, which takes priority over gas demand for power. The ISONE demand forecast for September 24 – 25 only predicts ~15.3 GW of peak load over the next three days. Power demand was much higher during the last major Stony Point outage on August 16 and 17, peaking at 22.6 GW. During the last few major Stony Point outages, Algonquin Citygate prices did not blow out, but merely spiked. During the outage this past August, AGT basis spiked to $1.13 after averaging $0.29 for the month up to that point. Still, this is Algonquin’s longest and most impactful maintenance event in recent memory, and plenty of upside risk abounds in New England’s gas and power markets. 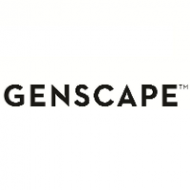 Genscape’s power and natural gas analysts will continue to monitor Algonquin and ISONE and update this blog in real-time as these outages progress.